Did you ever wonder why a mama bear will famously do anything at all to protect her cubs? Well, take a look at the video below and you’ll see why. These adorable cubs are only about eight weeks old, and if you were with them for real, it would be hard not to hug and give them a snuggle! But when do mama bears actually leave their cubs? How long does she care for these adorable creatures? Well, read on! By the time bears leave their dens at 2 to 3 months of age they typically weigh 4 to 6 pounds. Some can immediately climb trees but cannot outrun predators. Mama, therefore, defends them, warms them and keeps them nourished at all costs. Cubs taste what the mama bear eats in her mouth, but they do not eat solid food for several months until their teeth finally begin to erupt. Papa bear does not help at all in the rearing of the cubs. 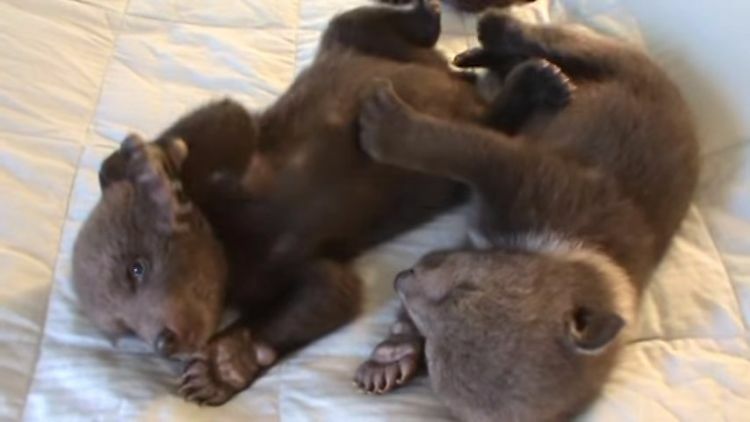 Amazingly, if cubs become orphaned, they can often instinctively do much to survive on their own. After many months of great care, once they are 17 months old, mama bear starts to push them away and suddenly becomes intolerant of them - for now, she is ready to mate again. Some of her cubs will be allowed to remain in her territory, and she will likely recognize them for life, but often she is not always tolerant of her daughters as they may actually be her competition. Some, however, will be allowed to live in adjacent areas while her male cubs leave and travel up to 137 miles to start their own mating ritual, according to Bear With Us. 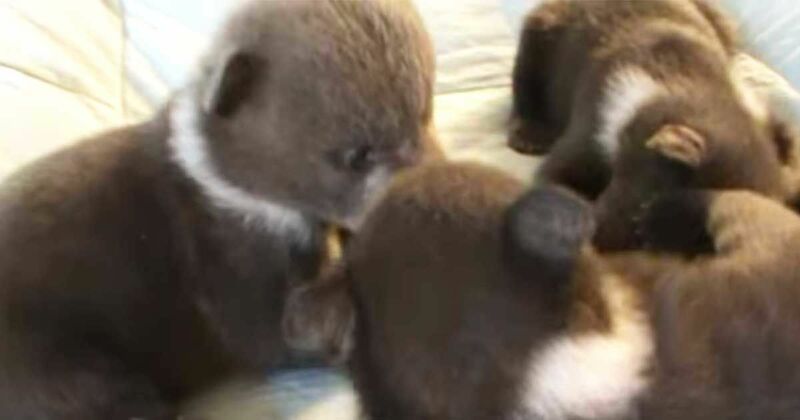 Check out these tiny terrors playing together for one of the first times ever, and SHARE if you’re a fan of cute bear cubs!